Recent Arrival! LE ABS brakes, Illuminated entry, Low tire pressure warning, Remote keyless entry. Odometer is 41379 miles below market average! Call our internet sales team for a video walk around today.Visit us at https://www.toyotaofroswell.com/. 11130 Alpharetta Highway Roswell GA 30076. On Highway 9 also Alpharetta Highway Exit 8 off GA400. Please call Nalley INFINITI Marietta at (404) 994-4328 for complete details and most accurate pricing on this vehicle.Corolla S *BLUETOOTH HANDSFREE*. Clean CARFAX. CARFAX One-Owner.Awards:* 2010 KBB.com Best Resale Value AwardsThe Nalley INFINITI Marietta auto repair and service team believes excellence is a continuous pursuit. As such we're constantly training and retraining, and upgrading our maintenance and auto repair shops with the latest technologies available. Come once, and you'll immediately see the difference. And you don't have to take just our word for it. Ask around. The word on our high level of customer satisfaction has spread fast. Come see why so many customers choose our greater Atlanta INFINITI dealership for all their automotive needs. Recent Arrival! LE Corolla LE. 26/34 City/Highway MPG Call our internet sales team for a video walk around today.Awards:* 2013 KBB.com Brand Image Awards * 2013 KBB.com Best Resale Value AwardsVisit us at https://www.toyotaofroswell.com/. 11130 Alpharetta Highway Roswell GA 30076. On Highway 9 also Alpharetta Highway Exit 8 off GA400. Recent Arrival! III **LEATHER, **ALLOY WHEELS, Prius III, ABS brakes, Alloy wheels, Electronic Stability Control, Heated door mirrors, Illuminated entry, Low tire pressure warning, Navigation System, Remote keyless entry, Traction control. 51/48 City/Highway MPG Call our internet sales team for a video walk around today.Awards:* 2010 KBB.com Top 10 Green Cars * 2010 KBB.com Best Resale Value AwardsVisit us at https://www.toyotaofroswell.com/. 11130 Alpharetta Highway Roswell GA 30076. On Highway 9 also Alpharetta Highway Exit 8 off GA400. Please call Nalley INFINITI Marietta at (404) 994-4328 for complete details and most accurate pricing on this vehicle.Highlander *BLUETOOTH HANDSFREE*. CARFAX One-Owner. Odometer is 25771 miles below market average!Awards:* 2008 KBB.com Best 10 Family Vehicles * 2008 KBB.com Brand Image AwardsThe Nalley INFINITI Marietta auto repair and service team believes excellence is a continuous pursuit. As such we're constantly training and retraining, and upgrading our maintenance and auto repair shops with the latest technologies available. Come once, and you'll immediately see the difference. And you don't have to take just our word for it. Ask around. The word on our high level of customer satisfaction has spread fast. Come see why so many customers choose our greater Atlanta INFINITI dealership for all their automotive needs. Awards:* 2008 KBB.com Brand Image AwardsNalley Chevrolet is a short drive down I-85 to Exit 64. Take a left off the exit ramp, and our Union City dealership is just ahead on the right at 4200 Jonesboro Road. Prius Three **BACKUP CAMERA**, **BLUETOOTH**, **GOOD TIRES**, **GOOD BRAKES**, **ALLOY WHEELS**, **REARVIEW CAMERA**, **POWER PACKAGE**, **8 AIRBAGS**, ** GREAT DEAL! 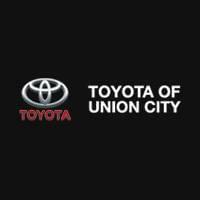 **, GREAT GAS MILLAGE, PRICE TO SELL, FOR THE LONG COMMUTE, TO TOYOTA QUALITY, Prius Three, 5D Hatchback, 1.8L 4-Cylinder DOHC 16V VVT-i, CVT, FWD, Black Cloth. Priced below KBB Fair Purchase Price! 51/48 City/Highway MPGAwards:* 2013 KBB.com Brand Image Awards * 2013 KBB.com Best Resale Value AwardsWe treat the needs of each customer with paramount concern and understand that you have high expectations. As a car dealer, we enjoy the challenge of meeting and exceeding those standards each and every time. Whether you are stopping by to test drive a new vehicle or to receive routine maintenance, allow us to demonstrate our commitment to excellence! Recent Arrival! L **NEW TIRES, Camry L. 25/35 City/Highway MPG Call our internet sales team for a video walk around today.Awards:* 2014 KBB.com 10 Best Late-Model Used Cars Under $15,000 * 2014 KBB.com 10 Best Hybrids Under $30,000 * 2014 KBB.com 10 Best Used Family Cars Under $15,000 * 2014 KBB.com Best Resale Value AwardsVisit us at https://www.toyotaofroswell.com/. 11130 Alpharetta Highway Roswell GA 30076. On Highway 9 also Alpharetta Highway Exit 8 off GA400. Recent Arrival! Clean CARFAX. LE **NEW TIRES, Corolla LE, ABS brakes, Electronic Stability Control, Heated door mirrors, Illuminated entry, Low tire pressure warning, Remote keyless entry, Traction control. Odometer is 26263 miles below market average! Call our internet sales team for a video walk around today.Awards:* 2015 KBB.com 10 Tech-Savviest Cars Under $20,000 * 2015 KBB.com 5-Year Cost to Own Awards * 2015 KBB.com 10 Best UberX Candidates * 2015 KBB.com 10 Most Affordable CarsVisit us at https://www.toyotaofroswell.com/. 11130 Alpharetta Highway Roswell GA 30076. On Highway 9 also Alpharetta Highway Exit 8 off GA400. Recent Arrival! Clean CARFAX. **NEW TIRES, **BACKUP CAMERA, **ALLOY WHEELS, 16 x 5.5 Alloy Wheels, Radio: 7 Touchscreen Display Audio, Speed-sensing steering, Sport Front Bucket Seats, Traction control. Call our internet sales team for a video walk around today.Visit us at https://www.toyotaofroswell.com/. 11130 Alpharetta Highway Roswell GA 30076. On Highway 9 also Alpharetta Highway Exit 8 off GA400. Recent Arrival! CARFAX One-Owner. Clean CARFAX. S Plus **BACKUP CAMERA, **ALLOY WHEELS, Corolla S Plus, ABS brakes, Electronic Stability Control, Heated door mirrors, Illuminated entry, Low tire pressure warning, Remote keyless entry, Traction control. Odometer is 14596 miles below market average! Call our internet sales team for a video walk around today.Awards:* 2015 KBB.com 10 Tech-Savviest Cars Under $20,000 * 2015 KBB.com 10 Most Affordable Cars * 2015 KBB.com 5-Year Cost to Own Awards * 2015 KBB.com 10 Best UberX CandidatesVisit us at https://www.toyotaofroswell.com/. 11130 Alpharetta Highway Roswell GA 30076. On Highway 9 also Alpharetta Highway Exit 8 off GA400. Recent Arrival! CARFAX One-Owner. Clean CARFAX. LE **NEW TIRES, Corolla LE, Dual front impact airbags, Dual front side impact airbags, Panic alarm, Speed control, Steering wheel mounted audio controls. Priced below KBB Fair Purchase Price! Odometer is 4365 miles below market average! 29/38 City/Highway MPG Call our internet sales team for a video walk around today.Awards:* 2016 KBB.com 5-Year Cost to Own Awards * 2016 KBB.com Best Buy Awards FinalistVisit us at https://www.toyotaofroswell.com/. 11130 Alpharetta Highway Roswell GA 30076. On Highway 9 also Alpharetta Highway Exit 8 off GA400. Recent Arrival! CARFAX One-Owner. Clean CARFAX. Corolla LE **BACKUP CAMERA**, **BLUETOOTH**, **GOOD TIRES**, **GOOD BRAKES**, **REARVIEW CAMERA**, **POWER PACKAGE**, **8 AIRBAGS**, ** GREAT DEAL! **, ONE OWNER, LOCAL VEHICLE, BOUGHT HERE, SERVICE HERE, FACTORY POWERTRAIN WARRANTY, PRICE BELOW MARKET, Corolla LE, 4D Sedan, 1.8L I4 DOHC Dual VVT-i, CVT, FWD, Black Sand Pearl, Stone Cloth. Priced below KBB Fair Purchase Price! 28/36 City/Highway MPGAwards:* 2017 KBB.com 10 Best Sedans Under $25,000 * 2017 KBB.com 5-Year Cost to Own Awards * 2017 KBB.com 10 Most Awarded Brands * 2017 KBB.com Best Resale Value AwardsWe treat the needs of each customer with paramount concern and understand that you have high expectations. As a car dealer, we enjoy the challenge of meeting and exceeding those standards each and every time. Whether you are stopping by to test drive a new vehicle or to receive routine maintenance, allow us to demonstrate our commitment to excellence! Recent Arrival! CARFAX One-Owner. Corolla LE ECO **BACKUP CAMERA**, **BLUETOOTH**, **GOOD TIRES**, **GOOD BRAKES**, **REARVIEW CAMERA**, **POWER PACKAGE**, **8 AIRBAGS**, ** GREAT DEAL! **, ONE OWNER, UNDER FACTORY WARRANTY, GOOD MILES, FOR THE DAILY COMMUTE, Corolla LE ECO, 4D Sedan, 1.8L I4 DOHC, CVT, FWD, Blue Crush Metallic, Black Cloth. 30/40 City/Highway MPGAwards:* 2017 KBB.com 10 Best Sedans Under $25,000 * 2017 KBB.com 5-Year Cost to Own Awards * 2017 KBB.com Best Resale Value Awards * 2017 KBB.com 10 Most Awarded BrandsWe treat the needs of each customer with paramount concern and understand that you have high expectations. As a car dealer, we enjoy the challenge of meeting and exceeding those standards each and every time. Whether you are stopping by to test drive a new vehicle or to receive routine maintenance, allow us to demonstrate our commitment to excellence! Recent Arrival! Clean CARFAX. Yaris iA **BACKUP CAMERA**, **BLUETOOTH**, **GOOD TIRES**, **GOOD BRAKES**, **REARVIEW CAMERA**, **POWER PACKAGE**, **8 AIRBAGS**, ** GREAT DEAL! **, ONE OWNER, UNDER FACTORY WARRANTY, PURCHASE HERE, SERVICE HERE, PRICE TO SELL, LOW MILES, 4D Sedan, 1.5L DOHC, 6-Speed Automatic, FWD, Chromium, Mid Blue Black w/Fabric Upholstery. Odometer is 8687 miles below market average! 32/40 City/Highway MPGAwards:* 2017 KBB.com Best Resale Value Awards * 2017 KBB.com 10 Most Awarded BrandsWe treat the needs of each customer with paramount concern and understand that you have high expectations. As a car dealer, we enjoy the challenge of meeting and exceeding those standards each and every time. Whether you are stopping by to test drive a new vehicle or to receive routine maintenance, allow us to demonstrate our commitment to excellence!